This hands-on survey introduces students to the diverse fields that comprise cultural studies, from visual culture to popular music and new media. 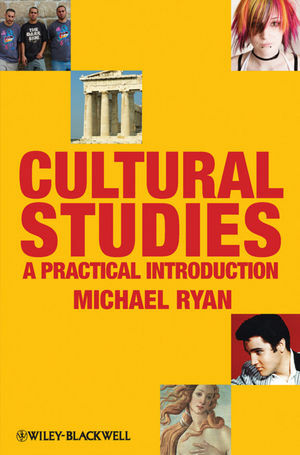 It can be used as a standalone text or is the perfect companion volume to Ryan's Cultural Studies: An Anthology. Michael Ryan is Professor of Film and Media Arts at Temple University. His books include An Introduction to Film Analysis, Marxism and Deconstruction, Politics and Culture, Camera Politica, Cultural Studies; An Anthology, and Literary Theory: A Practical Introduction. 2. Place, Space, and Geography. 7. Identity, Lifestyle, and Subculture. 8. Consumer Culture and Fashion Studies. 12. Audience, Performance, and Celebrity. 14. Transnationality, Globalization, and Postcoloniality.